Stafford Borough Council inspects hundreds of venues that serve food to ensure they are clean, safe, hygienic and properly run, and that there is no risk to the people who eat there. The results of the structured inspection are then displayed on the Food Standards Agency (FSA) website. Each business is given a food hygiene rating on a scale from 0 to 5, with 5 indicating that hygiene standards at the premises are very good and 0 indicating that urgent improvement is required. The FSA issues national guidance on the frequency of food inspections. They may range from every 6 months to every 3 years depending on the risks associated with the type of food handled and the scale of the business. Stafford Borough Council inspects its registered food premises in line with the FSA guidance. In extreme cases, where there is an imminent risk to health Environmental Health Officers can serve an Emergency Prohibition Notice to prohibit the use of a premise or a practice or even equipment. Any closure of this nature is immediate but must be confirmed by a magistrate’s court at a later date. At Stafford Borough Council, in common with most other UK local authorities, food safety inspections form an element of the regulatory services practice. This is a collection of inspection and risk management processes that must be carried out in compliance with regulatory standards. Regulatory services extends to activities that include health and safety, licensing alcohol and entertainment, pollution control and the tattoo hygiene rating scheme, as well as food safety. Historically the environmental health team managed its food safety inspection schedule through a legacy IT system. The team of four environmental health officers (EHOs) would print off paper inspection schedules and historical inspection reports prior to planned inspection visits. Once out in the field the process was entirely paper based with very limited use of technology. After the inspection was complete, the data captured in the field then had to be taken back to the office where it was re-typed back into the legacy system in order that the FSA compliant reports and associated certificates could be produced. All output documents then had to be shared with the Food Standards Agency in compliant format, and hard copies of reports were also shared with the business owner including a printed food hygiene rating certificate which must be clearly displayed in the inspected premises. Stafford Borough Council has been working with Abavus for several years now, implementing a successful solution for its Street Scene teamthat uses My Council Services to enable mobile working. The existing system relied on EHOs completing the paperwork correctly and returning it at the end of each day of inspections so that the inspection could be completed on the system and the relevant documentation produced. This process was completely manual so was extremely time-consuming and inefficient. The paper-based system did not allow for the environmental health team to make changes to the way food safety inspections were resourced. The majority of the food service venues across the borough are well run and compliant. Under the legacy process, a straightforward inspection of a compliant premises required the same effort as a business that was more problematic. The EHO team wanted to be able to allocate greater resources to supporting those premises that were more likely to struggle with their food hygiene standards. The Council’s transformation strategy focuses on seeking opportunities for repeatability and re-use of innovative technologies in its efforts to reduce costs and streamline operations. Thus the Council wanted a system that it could configure and deploy to be used in other regulatory services contexts, not only food safety. The environmental health team could see opportunities for more fundamental transformation of the current process through the use of technology, for example through the automation of the entire back office process of report production and upload to the FSA as well as certificate production. 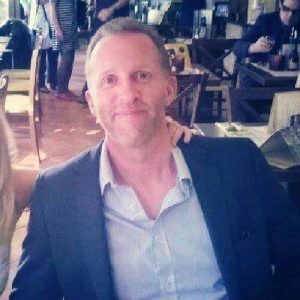 It wanted the ability to complete an inspection with all written and visual evidence captured on a single device and automatically organised to create the compliance-based reports, as well as the ability to share and explain the outcome of an inspection with the business or premises owner. The project began in January 2016. Teams from Abavus and Stafford Borough Council worked together to enable Abavus to fully understand the environmental health team’s processes and requirements, as well as to identify opportunities to re-design the way things ran whilst ensuring compliance with FSA protocols. Work also began on developing functionality that could take the data captured through the structured regulatory inspection framework and produce the calculated food hygiene rating score. The capability to calculate a risk score or compliance score was not only applicable to food safety. The resultant features could be configured to be applied to any compliance, regulation or risk-based process. This gave the solution much wider applicability for Stafford (and ultimately other My Council Services clients) because the system could also be used to transform and digitise any standardised regulatory process. 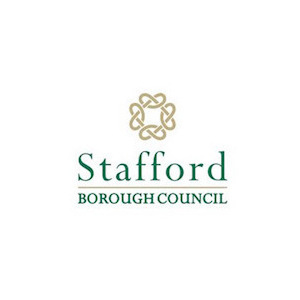 Stafford Borough Council used the existing e-forms and native mobile application technology, supplied by Abavus and already in use at the Council, to create a sophisticated e-form that mirrors the FSA inspection steps and captures all of the required data. The form also enabled the capture of location information, the taking and uploading of photographic evidence all in a single process. The native mobile application technology also meant that EHOs could move away from carrying round and completing paper forms to doing everything from a tablet device. The solution was also set up to allow for offline working. This meant that to complete an inspection the EHO could work regardless of 3G or any other provision of internet connectivity. Data could be captured during the inspection using the device-based form (using any standard tablet device) and synchronised when connectivity was available. The scheduling of repeat inspections can also be managed through the task management features of the My Council Services platform. Tasks are created and attached to an asset (in this case an asset is the specific food premises). The EHOs were extensively involved in early requirements capture and design phases as well as in the later User Acceptance Testing (UAT) phases. The solution was found to be both easy to use and significantly reduced the time taken to complete a straightforward inspection. “Through completion of the UAT activities we identified one or two areas that need to be tweaked. It also became apparent that there were very significant potential improvements to productivity to be realised. We feel confident that an individual EHO could double the numbers, moving from the current level of 2 inspections per day up to perhaps four inspections per day. The success of the fully digital mobile worker launch for environmental health has acted as a second proof of concept, demonstrating that the My Council Services suite of modules can help the Council deliver very significant savings whilst enhancing service area performance at the same time. The next stage of this project is for the production of the reports and the food safety rating certificates to be fully automated. This was always part of the scope of the project and is now ready to be made available in the production environment.